When you’re ready for a new credit card, it’s important to examine any available offers to ensure you get the best possible card for you. But how do you do this without missing anything important? You come to NerdWallet, and we tell you how! Here are 10 steps to evaluating a credit card offer. Be wary of applying for any credit card offer from a source you aren’t familiar with. For one, it may be a scam. Also, many unsolicited credit card offers aren’t necessarily the best offers for you based on your card needs and wants. If you haven’t been sent an offer and want to find one on your own, use our credit card tool to find a card or two to evaluate. Balance transfer: For those who want to pay off their existing credit card debt without paying high interest rates. These cards generally charge a fee to transfer a balance, but offer a 0% introductory rate. Rewards: For those who pay off their balances in full each month and want to take their credit card experience to the next level. These cards offer cash, points or miles rewards on your spending. Some rewards cards also come with a signup bonus, wherein you’ll receive a bonus for hitting the required spend within a specified period of time. Introductory 0% APR: For those who can’t or don’t want to pay off their balances immediately. These cards tend to offer 0% interest on purchases and balance transfers for 12-18 months. Secured: For those with poor or limited credit. These cards are backed by a cash deposit, often equal to the credit limit. They aren’t the same thing as prepaid cards — you still have to make payments, and the activity is reported to the credit bureaus. Once you’ve determined the card type that most accurately describes your credit needs, you’ll want to nix any offers for other types of cards. They may be great cards, but they simply aren’t for you. Annual fee: Charged for the privilege of using a credit card, an annual fee is assessed once per year. Credit cards with annual fees tend to have higher rewards structures and higher signup bonuses than those without, so they’re worth considering. Foreign transaction fee: A foreign transaction fee is a percentage based fee — generally 3-4% — on charges made overseas. If you travel overseas at all, you should get a credit card without foreign transaction fees. Late payment fee: Most credit cards charge a fee of around $35 for late payments. This fee is avoided by making all of your payments on time. Set up automatic payments if you’re afraid you’ll forget. Cash advance fee: Some credit cards allow you to take a cash advance from your card via ATM or bank branch. However, you’ll have to pay a cash advance fee and a higher APR than you would normally. There’s also no grace period, so you’ll begin incurring interest charges immediately. This should be a last resort — keep an emergency fund for those times you need cash in a pinch. With the exception of the annual fee — and the foreign transaction fee if you’re sure you will never travel overseas — credit card fees should be avoided at all costs. You can avoid these with responsible credit habits and a cash reserve in case of emergencies. 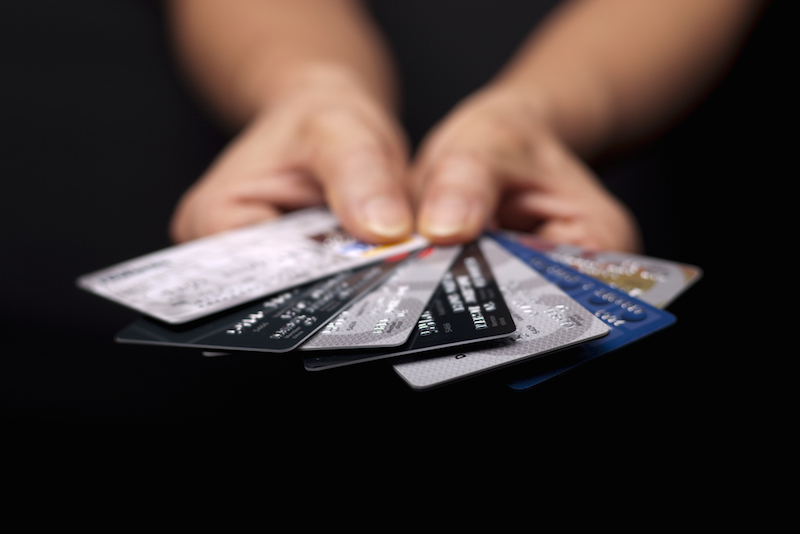 Many credit cards have two versions — one with an annual fee, and one without. Let’s compare two of these hypothetical cards, both with signup bonuses. Here’s the math to find out how long it will take until the annual fee on Card A overtakes the higher signup bonus. Of course, this isn’t the only consideration. Cards with annual fees have higher rewards rates as well. Do the math to evaluate the ongoing rewards of two cards and determine if you spend enough to justify an annual fee. If you spend more than $9,500 a year, it’s worth it to get the hypothetical card with the annual fee and higher rewards rate. Otherwise, go with the card without an annual fee. While you can carry credit card debt from one month to the next, it’s the most expensive way to finance your purchases. You should only use your credit card for purchases you can afford to pay off each month before accruing interest. That said, it doesn’t hurt to know the interest rates associated with your account. But remember, most credit cards have variable rates, so your rate is subject to change. Credit card interest is calculated based on your daily average balance, not your ending balance. Let’s do the math on a hypothetical card. The interest rate is 15%, the balance owed is $3,000, the minimum payment is $300, and you make a single payment of $1,500 eight days before the bill is due. Many rewards cards offer different rewards rates for different types of purchases. So some cards may give you extra rewards for groceries, while other give extra rewards for travel spending. Figure out where you spend your money and see if the credit card you’re considering gives you additional rewards for that spending. If not, there may be a better card for you that does. Credit card rewards may be redeemable for cash, travel, gift cards, charitable contributions, merchandise and more. Ensure the card you’re considering offers redemption for the rewards of your choice. If you hate travel, for instance, a card that only has travel rewards redemption will be of no use to you. Some cards offer special rewards bonuses for having a bank account with the issuer or spending a certain amount each year. Others offer higher value redemption if you choose one redemption option over another. Understand the rewards program and ensure that it meets your rewards earning and redeeming preferences. Credit cards have more to offer than rewards and credit-building assistance. Most credit cards offer a multitude of benefits, including shopping and travel protections. Shopping benefits may include price and purchase protection, which reimburse you if covered items go on sale or are damaged or stolen within a specified time period, respectively. Travel benefits could include trip cancellation and interruption protection, car rental insurance, and lost baggage protection. Go over the benefits to ensure the protection benefits that are most important to you are included. Another thing to look for in the card offer is EMV capability. Issuers aren’t incentivized to provide EMV chips until October 2015, but several are offering them preemptively. EMV cards aren’t easily skimmed by credit card fraudsters, making them more secure than a traditional magstripe card. For everything you need to know about EMV security and usage, read our ABCs of EMV article. There are four major payment networks — Visa, MasterCard, American Express and Discover. And while there are great American Express credit cards and Discover credit cards on the market, understand that Visa and MasterCard are more widely accepted in more places. Consider this if you travel overseas or live somewhere with retailers that don’t accept AmEx or Discover. If you apply for a credit card within your credit score range, you’re more likely to be approved. There are credit cards available for those with bad or limited credit, fair credit, and good credit. Those with excellent credit can have their pick of cards, provided they meet any other qualifying factors, like income threshold for prestigious cards or membership for credit union cards. Check the credit card’s terms for any additional fine print. For instance, some 0% interest credit cards retroactively apply interest charges to your balance if you don’t pay them off in full before the introductory rate expires. A small minority of credit cards allow for repossession of the items purchased if you don’t make payments. Peruse the fine print to determine if there are any deal breakers. The takeaway: That’s it! After you’ve gone through these 10 steps, you’re ready to apply. We have a feeling you and your new card will be very happy together.